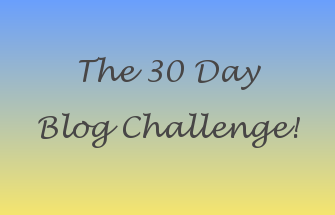 Hello and welcome to day 22 of the 30 Day Blog Challenge and today I am having a rant on my soapbox! My chosen topic to rant about is driving! Now I drive most days, as I take my son to school and commute to work and some of the driving I see beggars belief but I have a number of pet peeves so here we go! Please don't drive up my arse you are not going to make me drive any faster especially if the car or cars in front of me are not going any faster I can't go anywhere and all that is likely to happen is that if I brake suddenly you will end up going up the back of me! We all know the saying 'Manners cost nothing' so really its not hard to say a quick thank you when someone lets you through, in or is just generally trying to be a considerate driver. Sorry I left my crystal ball at home this morning so please use your bloody indicators as otherwise I have no idea where you want to go. On the same note once you have turned please turn them off and don't confuse other road users whilst you merrily drive along indicating for no apparent reason! I have live near a dual carriageway which I have to use everyday and quite honestly I think some people forget they are in a little car and think they are at the wheel of a F1 car, the road has now become so bad that we recently had three accidents in three days- not good! Now I admit when I first passed my test I was terrible at parking so would find the most remote spot possible to park my car away from everyone else! What I can't stand are people who park in the most inconsiderate manner, such as too close so that you have to squeeze into your car, or those who think my car is so huge I know I'll park across two spaces because I can't be arsed to park it properly!. Do you have pet peeves or things that really wind you up? Don't forget to check out the other ladies to see what they are ranting about!